For several years now Midge has been asking for a cell phone. I understand – she is the only one in our household that still doesn’t have one, and I am only a little bit embarrassed to admit that we are that family who is pretty much on our phone 24/7.Between Mike and I both owning businesses and The Teen with her work as well as her incredibly active social life as a high school senior, we all spend a lot of time on our phone. Since Midge has a birthday coming up next month, Mike and I decided it was time to start checking out our options for getting her very first smartphone. 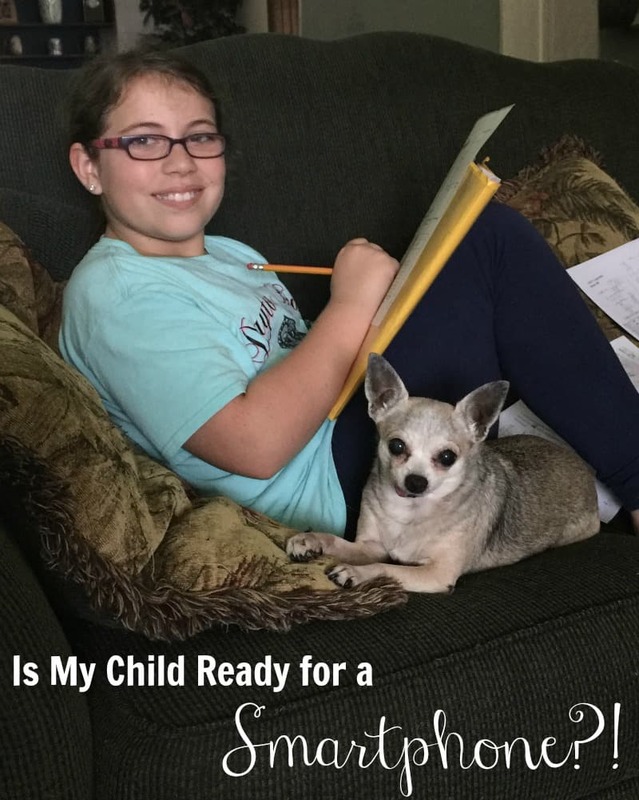 I haven’t wanted to bite the bullet and add her to our plan by activating a new line with a two-year contract, so I was excited when I had the chance to team up with Walmart Family Mobile to see if maybe that is the best choice for us. 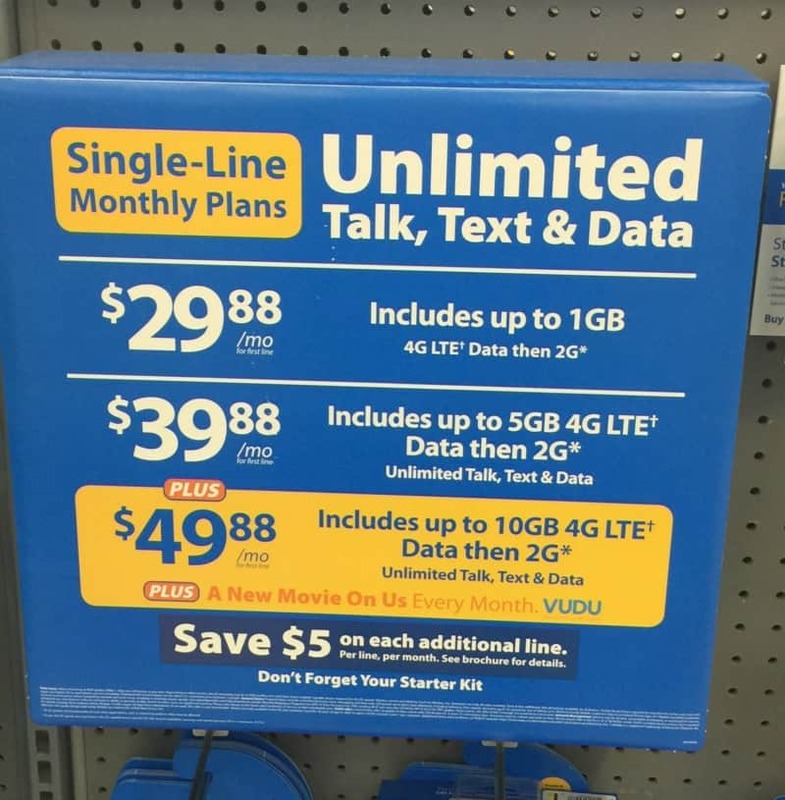 Walmart Family Mobile is a great choice for no contract cellular phones with service plans that rival those of the big carriers. My parents have been using Walmart Family Mobile for years and have not only always had great service, but they have paid a fraction of what we have been paying with our contracts. 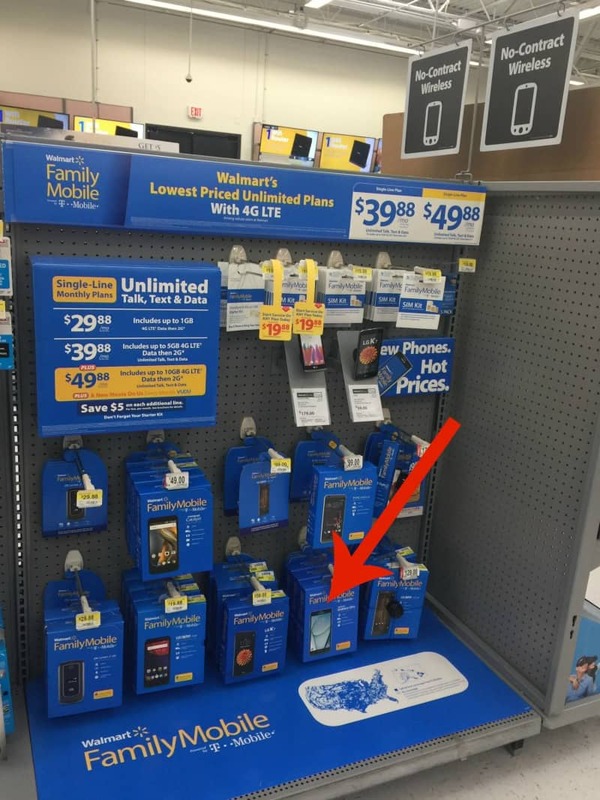 Walmart also offers a great selection of smartphones to go with the Walmart Family Mobile Plans. I picked out the Samsung Galaxy On5 for Midge because it had all of the features she has been wanting – plus it was on sale! Can’t beat that! The Samsung Galaxy On5 is normally $119 but on rollback for $69! Walmart is helping you to “Max Your Tax Cash” and get the most bang for your buck here at tax time. 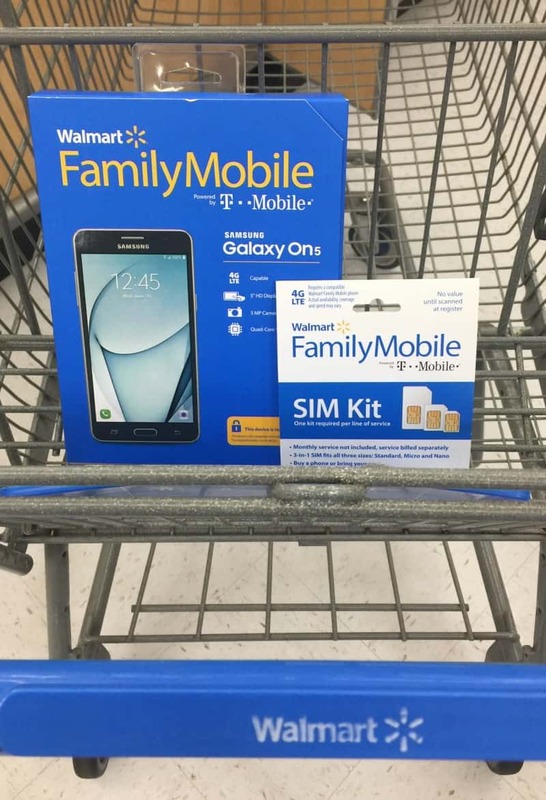 With Walmart Family Mobile all you need is a compatible phone and the SIM Kit which is only $19.88. With one phone call, you can activate your phone and be ready to go! I had a super nice and helpful employee set everything up for me right there in the store. Since Walmart Family Mobile bills you later, you only have to pay $19.88 when you sign up. All I had to show was my ID and email address and voila! I was calling Mike before I even got out of the electronics section! I was even impressed at how clear the phone was way in the back of the store… with my current plan on my phone I sometimes get sketchy service inside that particular store… I am starting to think Midge is getting an even better deal than we are! One of my favorite things about the Samsung Galaxy On5 and Walmart Family Mobile is that from the phone I can see just exactly how much data Midge uses every month. There is even a place to shut off the data once the limit is reached. Our plan does not do that, and there have been a few times that I have been not-so-pleasantly surprised with a super high bill. That has been my biggest fear with giving her a smartphone – not really knowing how much data she will use and being fearful of a crazy high bill. I have been using the phone this week to kind of see how much data I think she will use, and I think the Plus Plan is going to be absolutely perfect for her – even with all of the live streaming and game playing I know she does. That extra data is going to come in handy for her I am sure. I have had fun just playing with it and have only used a small fraction of the data plan! How cool is that?! I am so excited to give it to her already pre-loaded with her favorite art and design apps. 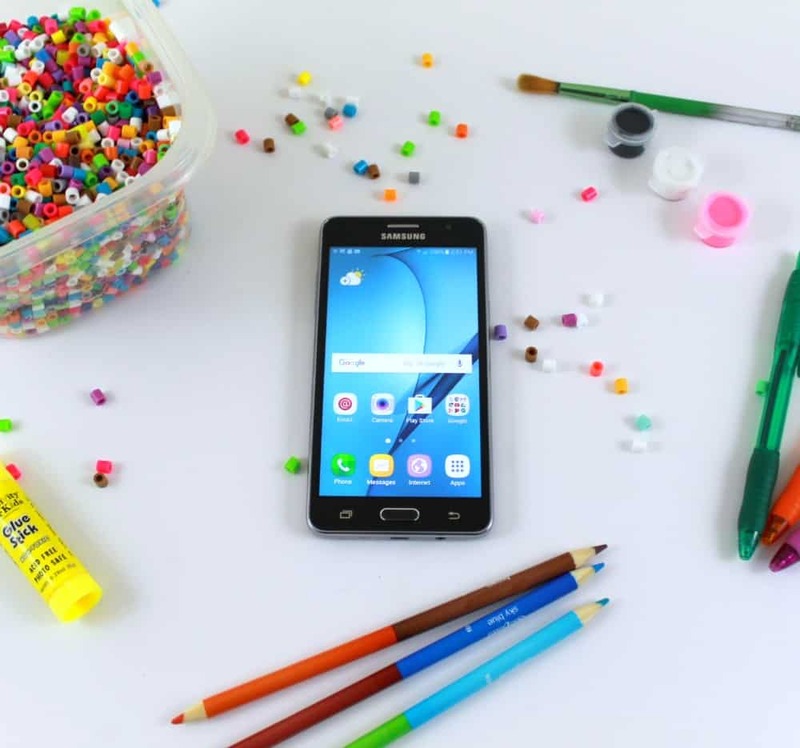 Whether you are looking to get your child her first cell phone or looking to get yourself a great phone with a great plan that gives you all of the features and flexibility you need – check out Walmart Family Mobile and the new PLUS Plan. Walmart is known for helping families save money on everyday items in their home, and with their Walmart Family Mobile, you can even save on your cellular phone too! It just doesn’t get much better than that! « Children’s Party Surprise – A Candy Buffet! This is a parenting decision our generation is the first to have to make! Thanks for the info. Looks like some good options! Now that Google has these new parental controls and Walmart has these amazing deals I think kids could have a cell phone younger.